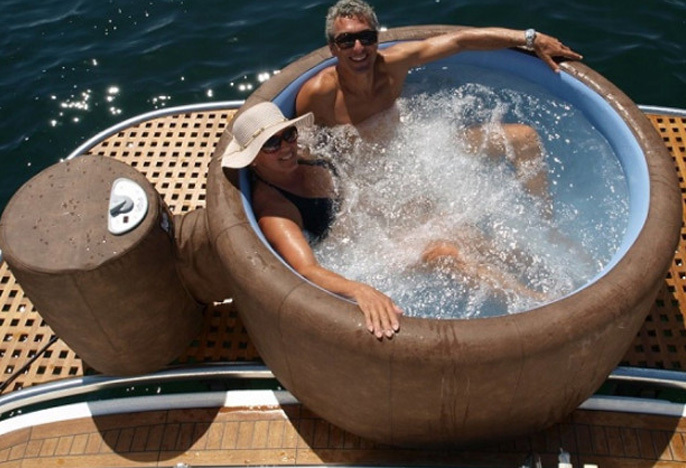 Escape… relax…take a soak at your leisure in your very own Softub 140, designed to maximize your enjoyment in a minimum amount of space. 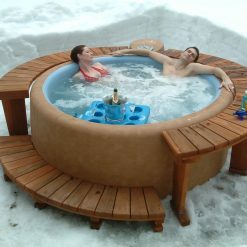 Its five foot diameter makes it the perfect spa for balconies, patios and even the basement. Space will no longer be an issue when you purchase this spa. It’s perfect for one or two people. Its four jets are placed to target those troubled spots and allow you to melt your tensions away.